Yesterday the Obama administration finally abandoned the CLASS Act, a program to subsidize long-term elderly care that was part of the healthcare reform bill. Conservatives are in full war whoop mode over this, and I suppose I don’t blame them. The budget forecasts for CLASS were always dodgy, and conservative concerns about this have now been vindicated. But they should contain themselves anyway. What happened here is that government worked exactly the way it ought to. 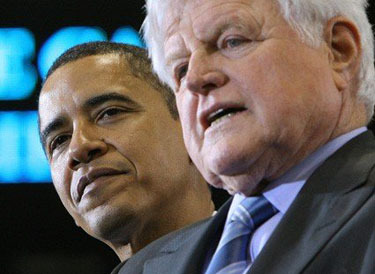 The CLASS Act was passed in a fog of rosy estimates and emotional appeals (it was one of Ted Kennedy’s longstanding priorities), and the Department of Health and Human Services immediately began the detailed work of writing the implementing regulations to get it up and running. And guess what? They did their work honestly and conscientiously. Even though it was a liberal program promoted by a longtime liberal icon, HHS analysts eventually concluded that its conservative critics were right and the program as passed was flawed. So they killed it. And most of the liberal healthcare wonks that I read seem to agree that, unfortunately, HHS was right. This is how we all want government to work. And it turns out that Obama agrees. This is apparently how he wants government to work too, and it’s a pretty clear demonstration that Obama isn’t the kind of hyperpartisan extreme lefty that conservatives like to paint him as. He’s a guy who wants government to function well and honestly, and if it doesn’t, he’s willing to shut down a program that doesn’t work even though it upsets his own party and provides campaign fodder to his opponents. When was the last time a Republican president did anything like that?